Eleven years ago, the government of the United States of America signed the African Growth and Opportunities Act (AGOA) to help the continent export some goods to the U.S. under certain concessions. Six years later, a report showed Nigeria fared badly in taking advantage of the U.S. initiative. A few days ago, a U.S. official spoke of an expanded initiative the Obama administration is working out with governments in Africa, of which Nigeria may benefit if it gets its acts right. U.S. Deputy Trade Representative, Ambassador Demetrius Marantis, said in a statement a few days ago that the U.S. is pursuing a unique trade policy about new ways to resolve old trade barriers, create customs practices and facilitate job-supporting trade in which Americans and Africans could benefit. Specifically, he said the U.S. is engaging the Nigerian government on “protecting intellectual property rights in Nigeria”. He said his government has set up Trade Investment Framework Agreement with 12 African countries and regional economic communities. Already, the U.S. is facilitating training on enforcement of intellectual property rights with Nigerian agencies. On trademark policies, the U.S. Justice Department is involved with the Nigeria Customs Service, Standard Organisation of Nigeria as well as Nigerian judges, especially on resolving commercial disputes through Nigeria’s tardy judicial process. Generally, any policy that helps to create jobs and trade opportunities is welcome. But will the Nigerian government and the people properly analyze potential pitfalls and benefits and thereafter take advantage of benefits through formulating sound policies? After all, nobody or country designs a policy that will not first and mainly take care of their selfish interests, no matter the policy’s beauty. 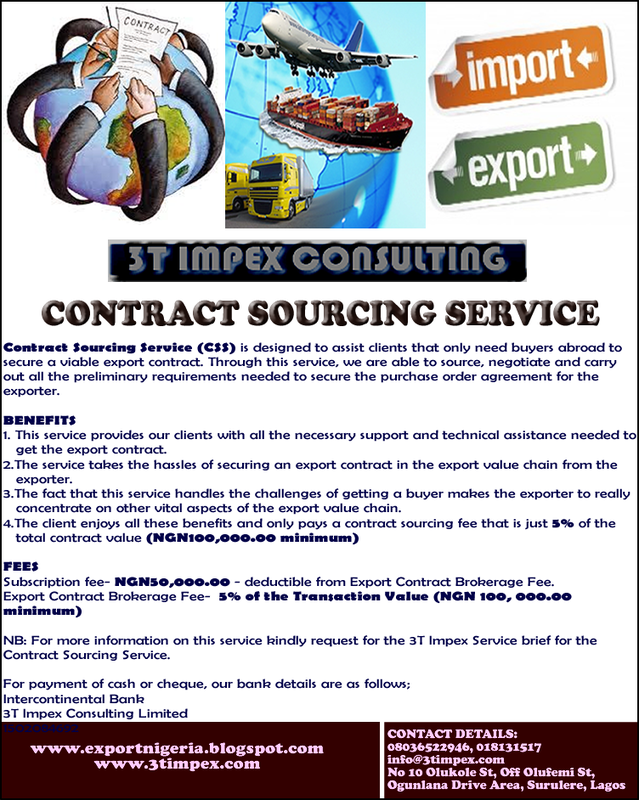 Before signing some agreements, are we sure we have something to offer in exchange of transaction in order to get the potential benefit? What is the attitude of the Nigerian government to preserving intellectual and property rights, and is it ready to make amends where possible in order not to make the benefits of any agreement one-sided, usually in favour of the U.S? 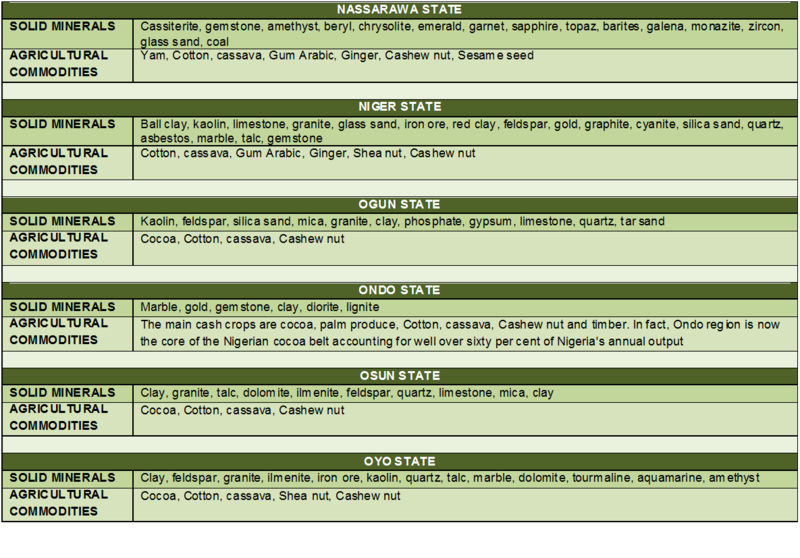 These posers are germane going by the record poor performance of Nigeria under the AGOA initiative. Under AGOA, sub-Saharan African countries were to be given some concessions to export 6,500 processed products, including textiles, to the US duty-free and quota free, to some extent. AGOA aims at reducing trade barriers and increasing exports from economically disadvantaged, poor countries and so position them to participate in a highly competitive global market. AGOA goals therefore are to ginger the governments of poor countries to provide the enabling environment to create jobs, improve living standards, reduce poverty and encourage foreign investors to consider investing in Africa. However, the U.S. still has power to limit importation of these AGOA goods from any country in order to protect its own producers and industry. Till date, however, the US market yearns for Nigerian finished clothes, but the textile industry in the country has gone under. What with the crippling weight of scarce and expensive energy, epileptic power supplies, decrepit transportation and insufficient water infrastructure. The failure of government to reverse these disincentives to investments and profitability has over the years weakened the capacity of Nigerian textile and other firms to compete well in the fierce global market with far better infrastructure. 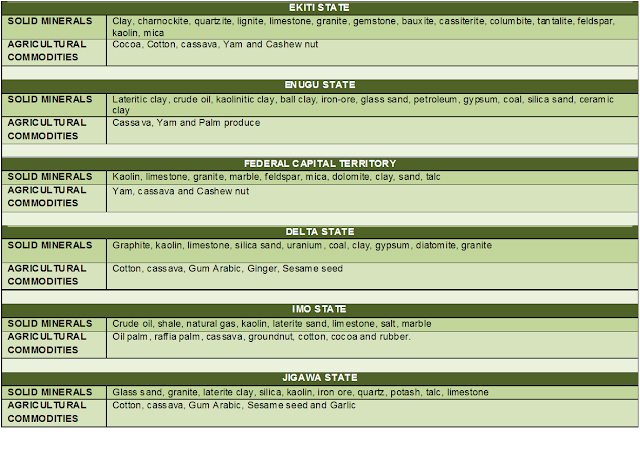 Dilapidated domestic infrastructure has made it virtually impossible for Nigerian firms to profit from the competitive advantage of having abundant agricultural raw materials to support and sustain a thriving, value-added agro industry that could profit from AGOA policy. For instance, South Africa’s benefits from AGOA six years ago came from export of passenger cars and citrus fruits. Nigeria is yet to encourage an agro industry to exploit its abundant but wasting pineapple, orange, tomato, banana, mango in different parts of the country. While a fruit canning industry would support export of natural fruit juices, Nigeria spends outlandish sums on importing chemical fruit juices. Fifty years after, crude oil export still remains crude, unrefined. 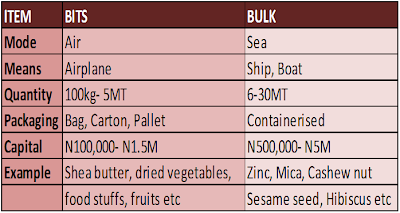 Little or no value is added and so Nigeria gets peanuts for its huge exports. Yet, processing crude into finished products would give the country far greater revenue yield. Regrettably, Nigeria, a major global oil exporter, supplying about 15 percent of U.S. oil needs, still imports virtually all of its requirements for petroleum products, leaving all its refineries in decay and abandonment. All these inadequacies need to be urgently remedied before the country could benefit from any trade policy of this kind. 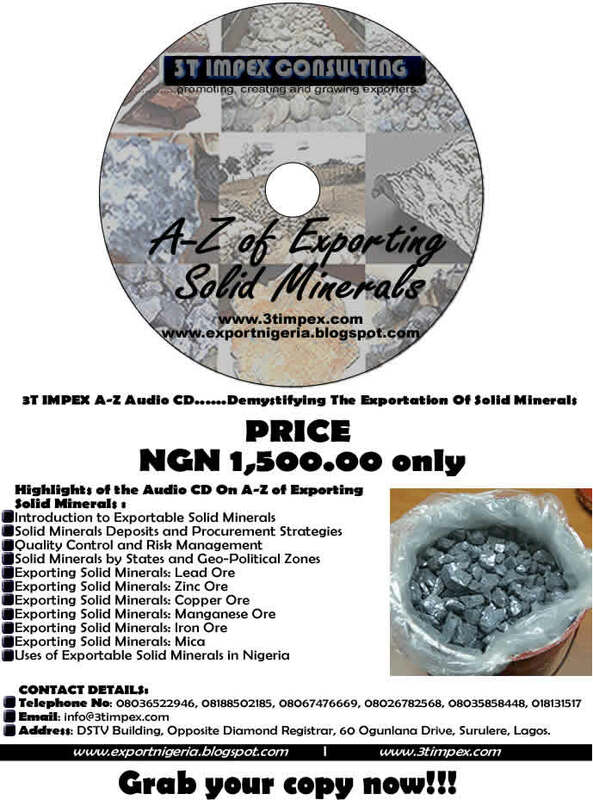 We must be sure we have tangible commodities or products to exchange or Nigeria becomes a dumping ground for foreign goods, usually worthless. Our house must be put in order to attract foreign investors and for domestic investors to foray into foreign markets in a competitive global trade. Occurrence: Coal begins as layers of plant matter accumulating at the bottom of a body of water. For the process to continue, the plant matter must be protected from biodegradation and oxidization, usually by mud or acidic water. This traps their carbon in immense peat bogs that are eventually covered over and deeply buried by sediments. Under this compression the plant material is metamorphosed into coal: over time, the chemical and physical properties of the plant remains are changed by geological action to create a solid material. The wide shallow seas of the Carboniferous period provided ideal conditions for coal formation, although coal is known from most geological periods. The exception is the coal gap in the Lower Triassic, where coal is rare: presumably a result of the mass extinction which prefaced this era. 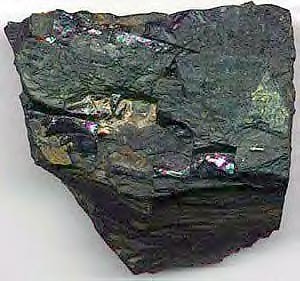 Coal is even known from Precambrian strata, which predate land plants: this coal is presumed to have originated from algal residues. Coal, a fossil fuel, is the largest source of energy for the generation of electricity worldwide, as well as one of the largest worldwide anthropogenic sources of carbon dioxide releases. Gross carbon dioxide emissions from coal usage are slightly more than those from petroleum and about double the amount from natural gas. Coal is extracted from the ground by mining, either underground by shaft mining through the seams or in open pits. The proven Coal reserves so far in Nigeria total about 639 million metric tones whilethe inferred reserves sum up to 2.75 billion metric tones. Presently, the Nigeria Coal Industry has 4 existing mines, Okpara and Onyeama Underground Mines in Enugu state, Aba surface mine in Kogi State and Owukpa Underground Mine in Benue State In addition, there are more than 13 undeveloped Coal fields. The undeveloped Coal fields in Nigeria are of two categories, viz: the Virgin Coal fields where further detailed exploration work and/or access roadways are required and the developing Coalfields where reserves have been proven and Mine access road ways developed. The developing coal fields in Nigeria are stated in the table below. 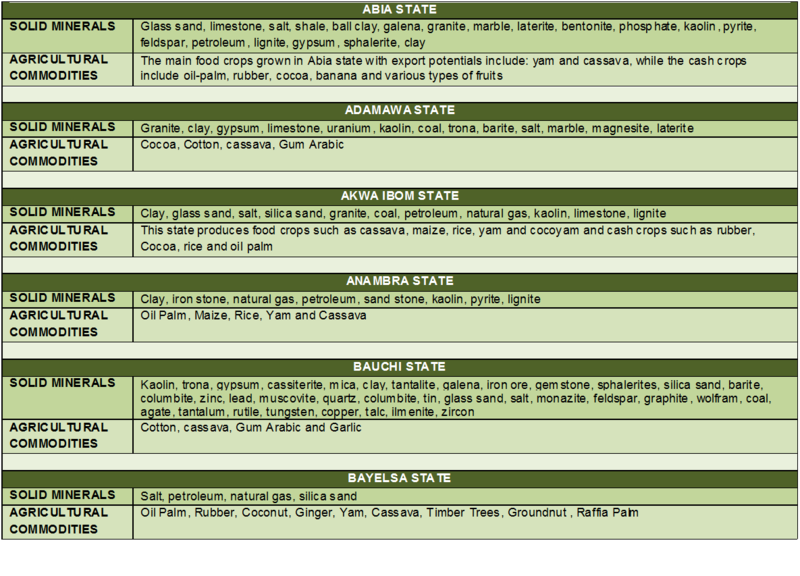 Specifications: The coal specification varies depending on the requirement of the buyer and this could vary base ranges stated in table below. Uses: Coal has many important uses worldwide. 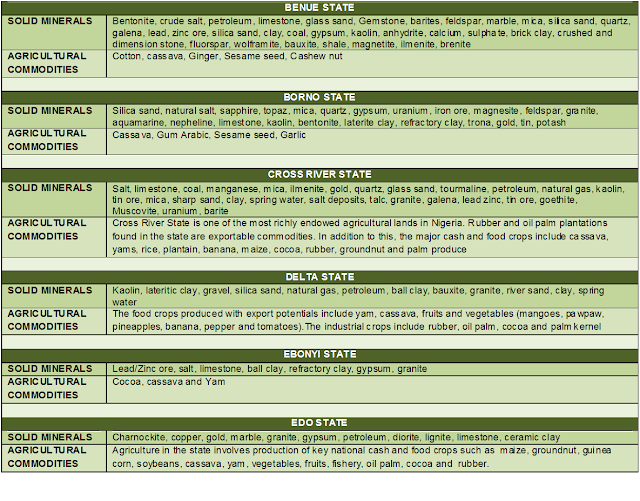 The most significant uses are in electricity generation, steel production, cement manufacturing and as a liquid fuel. Around 6.1 billion tonnes of hard coal were used worldwide in 2010 and 1 billion tonnes of brown coal. Since 2000, global coal consumption has grown faster than any other fuel. The biggest market for coal is Asia, which currently accounts for over 65% of global coal consumption; although China is responsible for a significant proportion of this. Many countries do not have natural energy resources sufficient to cover their energy needs, and therefore need to import energy to help meet their requirements. · Activated carbon - used in filters for water and air purification and in kidney dialysis machines. · Carbon fiber - an extremely strong but light weight reinforcement material used in construction, mountain bikes and tennis rackets. · Silicon metal - used to produce silicones and silanes, which are in turn used to make lubricants, water repellents, resins, cosmetics, hair shampoos and toothpastes. Export Price: Depending on the carbon content of the Coal the FOB price could vary from USD100-250/MT. Local price: The local market price of Coal at the loading point could vary from NGN5,000-NGN7,000/MT or more. We are working with a cooperative society that presence in the south-west and south-south region of Nigeria. 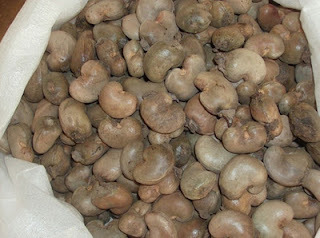 They have the capacity to deliver more than 2000MT of good quality Raw Cashew Nuts this new season starting from late January 2012. 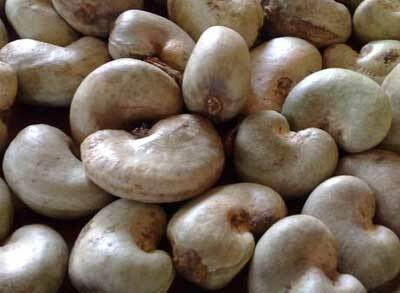 Target Buyers: End users of Raw Cashew nuts in India, Vietnam and Singapore. 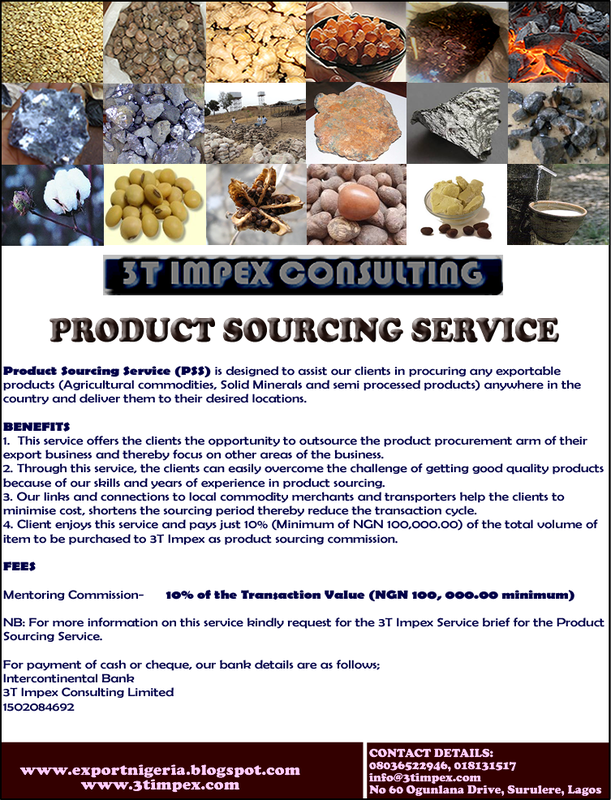 Items can either be exported in BIT or in BULK. 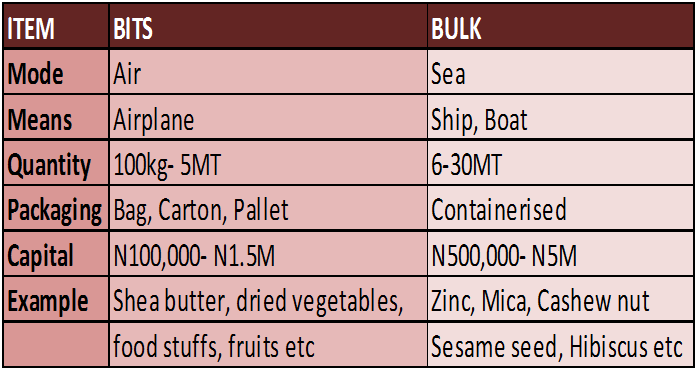 The table below therefore compares the exportable items in bits and in bulk using the mode of transport, the means of conveyance, the quantity range, the packaging involved, the capital outlay and finally the examples of items being exported in bits and in bulk. Export price: The export free on board (fob) price of raw cashew nut varies from about USD 500-700/MT. However, when an exporter adds value to this product by processing it into kernels, the fob price could quadruple that of raw cashew nut. 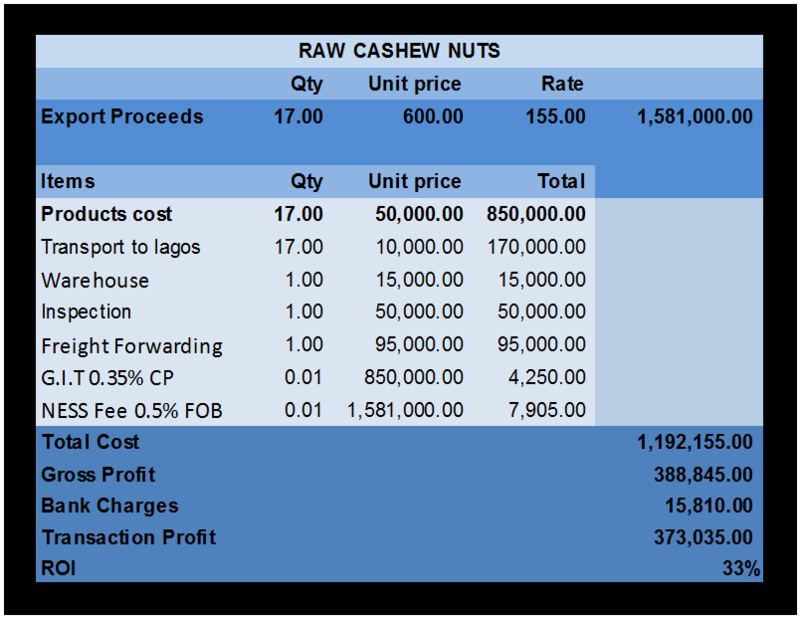 Local price: The local price per metric tonne MT for raw cashew nuts delivered EXW Lagos (delivered in Lagos) varies from NGN50,000.00 during the peak season to about NGN100,000.00 at the off season. The Nigerian Export Promotion Council (NEPC) has revealed that over N45 billion has been disbursed by the Federal Government in the second quarter of 2011 under the Export Expansion Grant (EEG) scheme designed to induce performance of non oil exporters in the country. The Executive Director and Chief Executive Officer NEPC, Mr. David Adulugba, explained that during the year under review, the EEG implementation committee met three times and approved claims to beneficiary companies in the country. Adulugba, during the NEPC 2011 media briefing with the Organised Private Sector (OPS), in Lagos, said the Negotiable Duty Certificates (NDCCs), which is the means by which exporters are rewarded under the EEG scheme, had been disbursed to beneficiary companies, except a few that are yet to come forward. He said the EEG initiative was a motivating factor that boosts export trade in the country, saying available evidence from inspection of facilities of EEG beneficiaries companies showed that many of them utilised their claims to procure more machinery to expand their production base for more export business, thereby generating more employment. 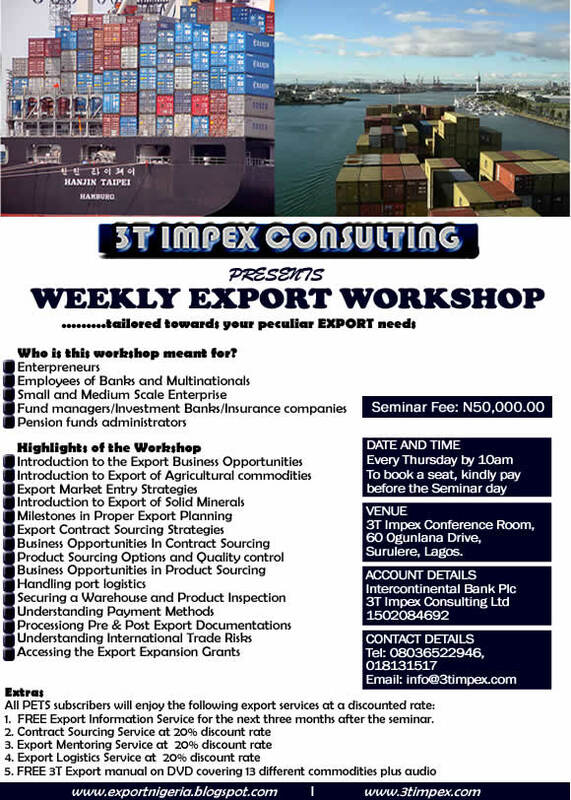 He added that the scheme was aimed at assisting exporters to expand their volume and value of non-oil exports, diversify export markets and to make them more competitive in the global market. 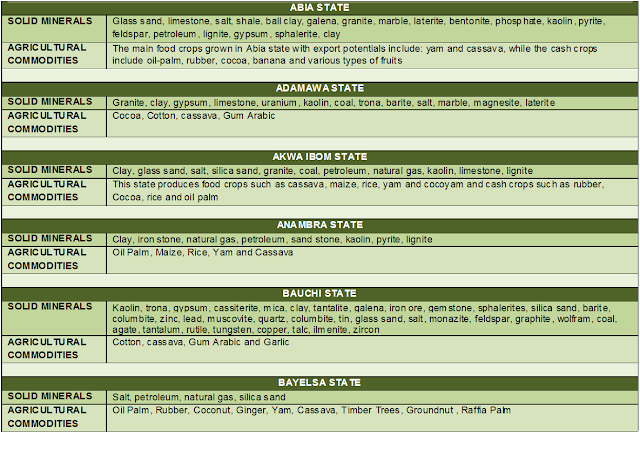 He however stated that to be eligible, an exporter must have exported manufactured, semi-manufactured, semi-processed or primary products. He also stressed that the export proceeds must be repatriated into a domiciliary account in Nigeria and confirmed by the Central Bank of Nigeria (CBN). Adulugba pointed out that following complaints received by the EEG Implementation Committee from exporters and members of the OPS on the current EEG Product Categorisation, the council organised an interactive forum with a view to reviewing the current EEG product categorisation, to properly situate export products in the scheme. He said during the year under review, the EEG Directorate called for the submission of 2009 baseline data for 2010 EEG ratings maintain that about 163 companies have submitted their baseline data, while 150 had already been rated for 2010 claims; noting that the remaining 13 companies are yet to be rated as a result of the inconsistencies in their submissions. He stated that the challenges faced by the scheme include inconsistent government policies, frustration from some stakeholders and inadequate funding of the EEG secretariat. 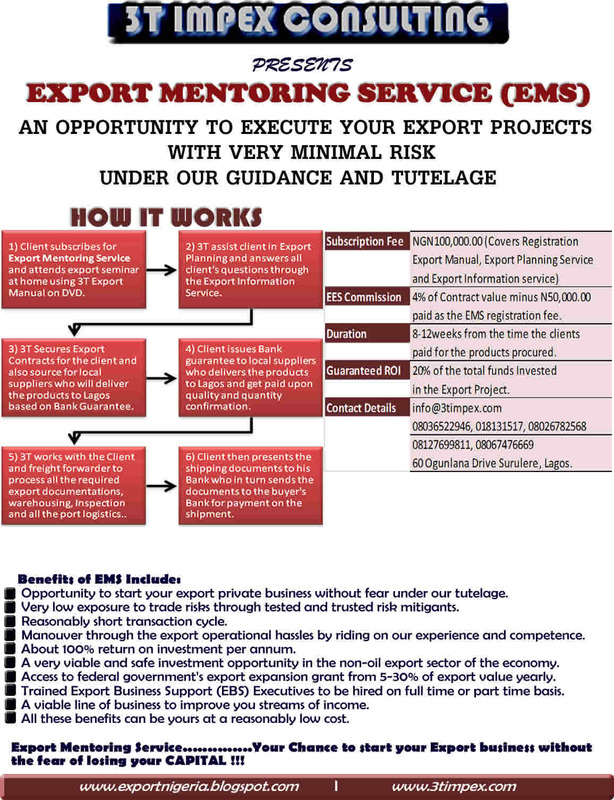 “As part of the Directorate effort towards ensuring prompt and transparent service delivery, the EEG processing software will be regularly updated to accommodate all eligible exporters especially the Small and Medium Enterprises (SMEs) with the objective to continually boost non-oil from Nigeria,” he said. He said the EEG Directorate represented the council on the Inter-Ministerial Committee set up by the Minister of Trade and Investment to review the current EEG Scheme, adding that the committee has concluded its assignment and submitted its report. “However, the report is being considered by the Federal Executive Council,” he said. On the ECOWAS Trade Liberalisation Scheme (ETLS), the Executive Director said it is pertinent to note that Nigeria’s formal non-oil export to the West African sub-region represents about 14 percent of the nation’s total non-oil exports, which is grossly and hopelessly inadequate considering the country’s position as an economic power. 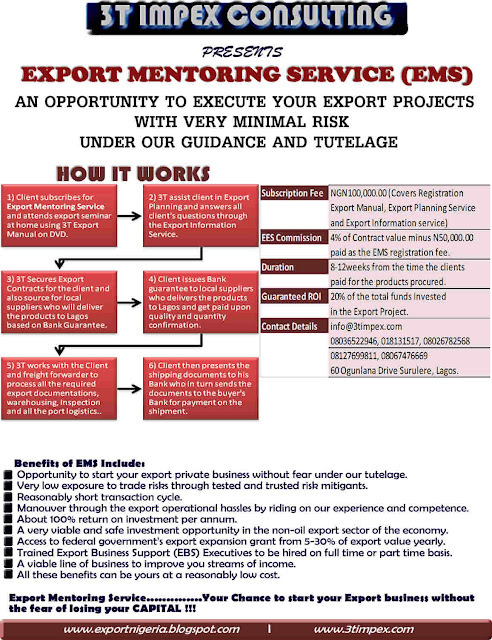 The exportnigeria.blogspot.com started as an idea and suggestion from a friend two years ago (November 26, 2011) with the sole aim of reducing number of enquiries received on export via phone calls by making the export information readily available on the internet. 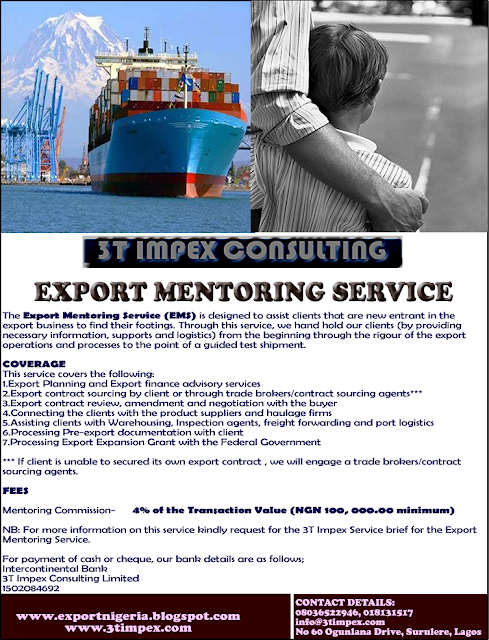 It had grown to become the foremost online resource location where very comprehensive and yet concise up to date information on non-oil export and related matters can be obtained. 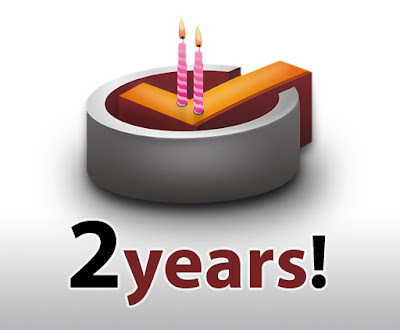 In two years, this blog has grown in popularity across the world with about 100-150 visitors viewing a range of 200-250 pages per day. 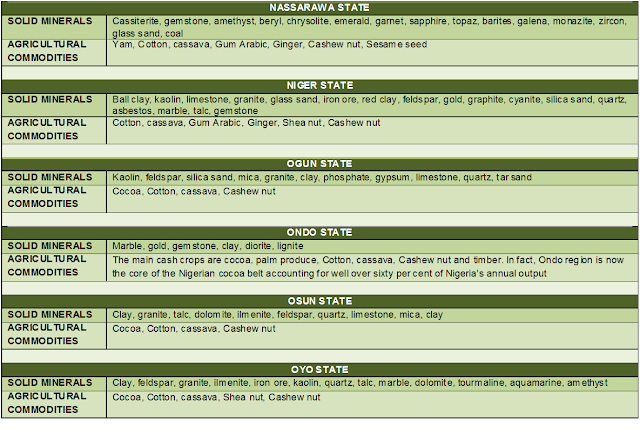 The impacts of the blog cut across different different continents and groups of people (M.Sc Students, Businessmen, Researchers, Export Marketing Companies, Importers of Nigerian Commodities, Intending and Existing Exporters within and outside Nigeria) as evidenced on the comments of visitors on the blog. 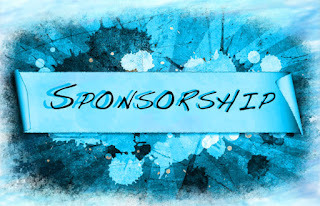 We want to thank the Almighty God for His wisdom and our regular visitors for their interest and valuable contribution to growth and development of the blog. Long live 3T Impex Consulting Limited !! Trade Investment: Where Do We Stand? A MOUNTAIN of bulging jute bags hides the far wall of a vast shed. A deafening rattle comes from the machine by the open door, a green contraption of conveyors and rotating metal drums that sorts cashews by size and drops them into sacks. Amid the din, an engineer (Italian, like the machine) explains how it works. The new factory at Techiman in western Ghana belongs to Rajkumar Impex, an Indian company which processes more cashews than anyone else: 8-10% of the global crop and 20% of Africa’s. Venkatesan Rajkumar, its founder and boss, says that by 2014 he intends to have 18% of the global total. 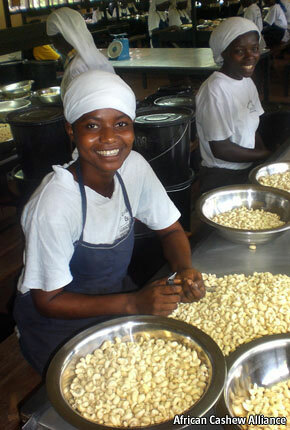 When the Techiman factory is fully open, which it is due to be in November, it will be one of Africa’s few fully mechanised processing plants, drying, roasting shelling and grading some 50 tonnes of raw nuts a day. African farmers grow about 40% of the world’s cashews, but only around 10% of the crop (less in the west, more in the east) is processed in Africa, according to the African Cashew Alliance, an industry group. 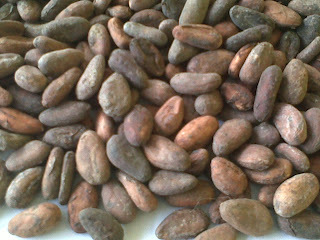 Most African nuts go to India or to Vietnam, which grows and prepares more cashews than any other country. The Alliance wants the continent to process 35% of its own raw nuts by 2020. Mr Rajkumar too believes that “west African nations should develop their own processing capacity” and sees an opportunity for his firm. He is investing $9m in the Techiman factory, expecting to save the cost of transporting bulky material by sea all the way to India. He intends to open factories in Benin and Côte d’Ivoire, and maybe another in Ghana. He is also expanding in southern and east Africa, buying a factory in Mozambique and hoping to build one in Tanzania. West Africa seems a good base from which to serve Americans and Europeans with pre-prandial nibbles or beer-friendly fistfuls. India has a huge domestic market to satisfy—the world’s biggest, which grew more than 9% a year in the past decade. Vietnam, where Rajkumar Impex also has factories, is best placed for East Asia. Locals, as well as Rajkumar Impex, stand to gain from the Techiman factory. It will employ 1,000 people, 90% of them women. Mr Rajkumar says their pay will depend on how much they process, but he expects it to be four to five cedis ($2.40-3.00) a day, plus food: a good wage by local standards. The company says it can improve farmers’ incomes as well. It reckons there is a margin of up to 20% between what agents pay them for their nuts and what it pays the agents. 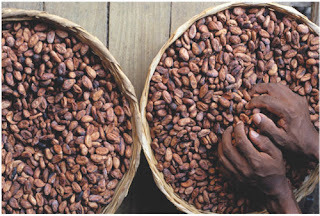 By dealing with farmers’ co-operatives instead of middlemen, the company can both pay farmers more and get raw nuts more cheaply. As well as a boost to its economy, Techiman should also see a green boost to its power supply. Rajkumar Impex is spending another $9m on generating electricity from biomass, using nut waste and other material to be bought in. Of the 6MW it plans to generate, it expects to use 0.6MW and to give some of the rest to the local community. 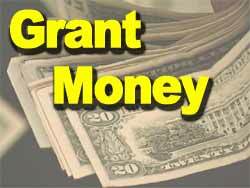 (The remainder will be sold into the national grid.) The government, though, will have to provide the wires. As travellers on the bumpy road to Techiman know, west Africa needs infrastructure as well as factories. To achieve this feat, we have come up with a programme called Export Promotion In Tertiary Institutions (The EPITI Project). To execute this project, we have put together a product called the ABC of Export. This CD contains 2hours of disseminating export information in mp3 format which is divided into 12tracks on an Audio CD. We therefore need sponsorship of the production, packaging, campus launch through free export seminars and the distribution of the product during the seminar. The EPITI Project will be launched in at least one major campus in each of the 36 states of the federation including Federal Capital Territory. Our target is to reach at least 10,000 students in each of the states in the federation. 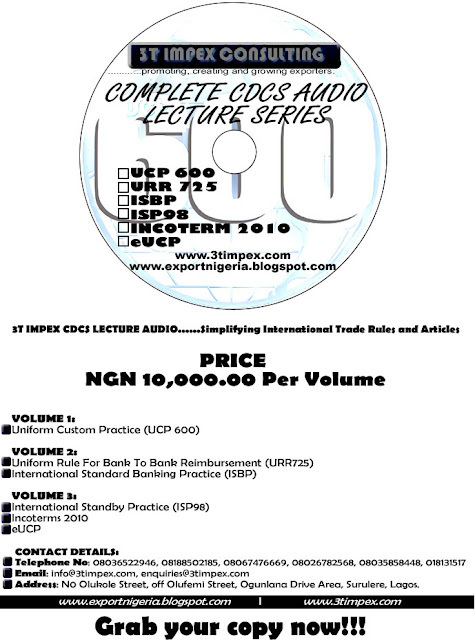 Our estimation of the total cost per ABC of Export audio CD to be distributed on these campuses during the seminar is NGN200 (Two hundred Naira only). 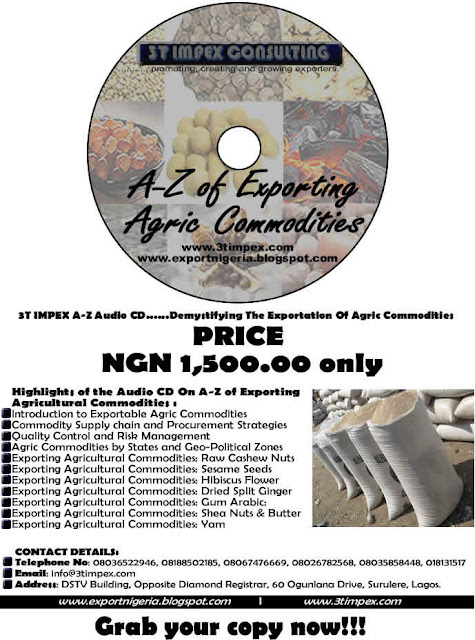 This covers the cost of production, packaging, campus publicity and product launch through free export seminars and the distribution of each of the CDs. 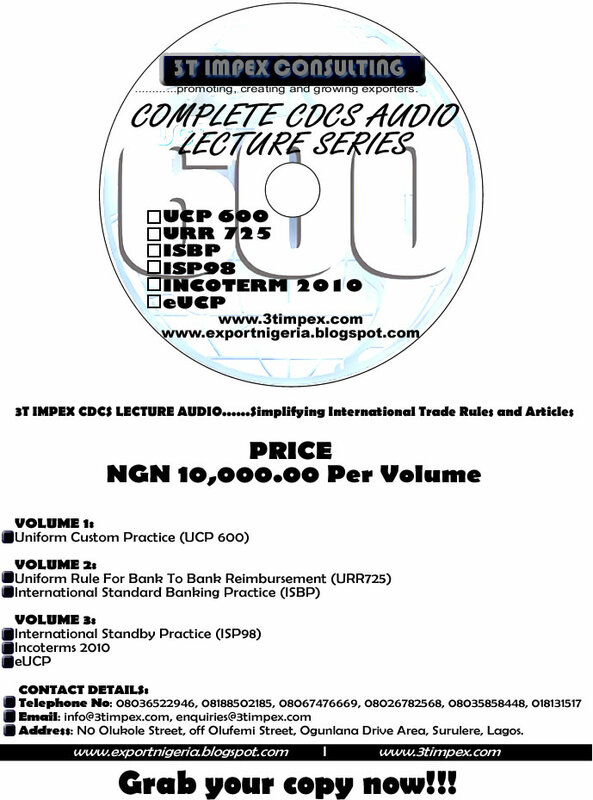 Altogether, we intend to produce and distribute a total of 400,000 copies of this product for free. 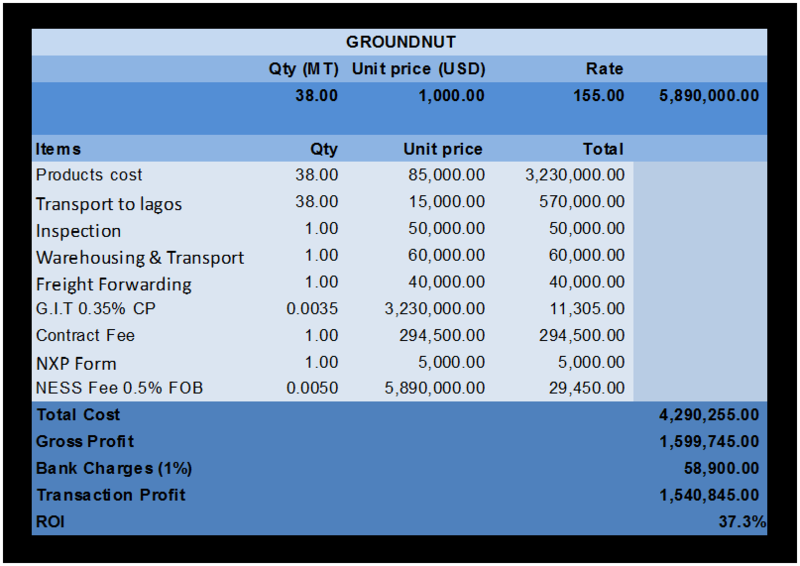 We are working with a commodity that have the capacity to deliver 200MT of good quality groundnut (peanuts) to a Lagos port in 4weeks (month). 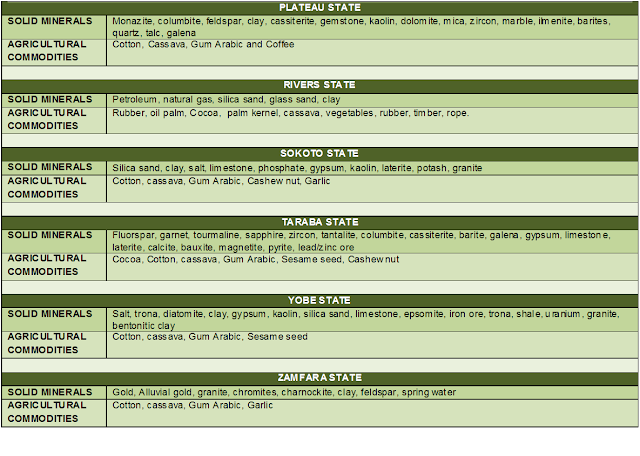 We are working with a cooperative society that presence in the south-west and south-south region of Nigeria. They have the capacity to deliver 200MT of good quality and well fermented cocoa beans to a Lagos port in 4weeks (month). 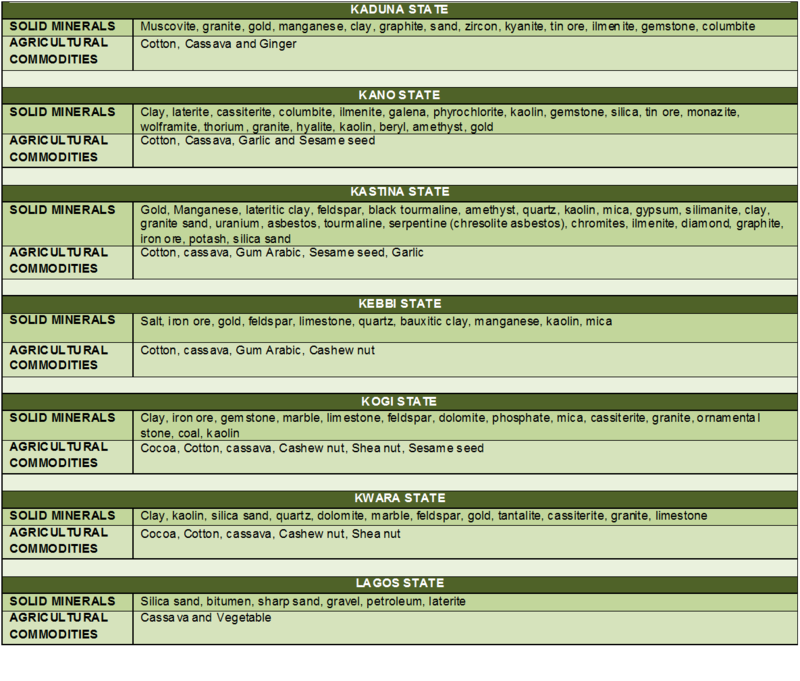 We have a Groundnut (Peanut) Contract for Sale. 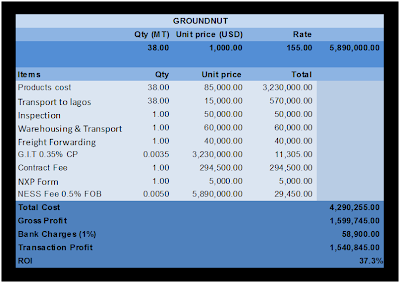 The terms and conditions of the contract and the profit projection together with the costs are stated below. 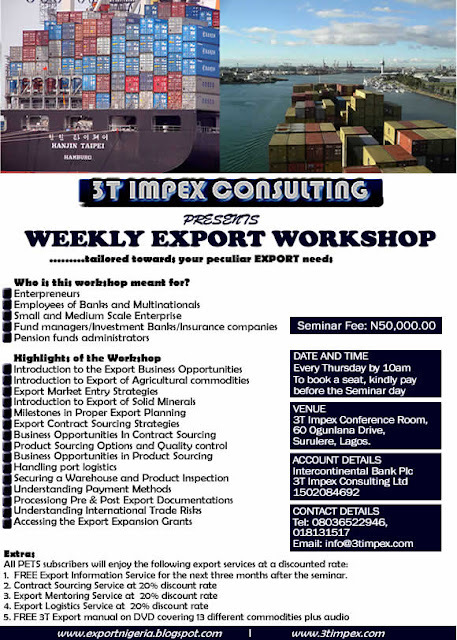 Kindly note that, we can assist the exporter to get the product to lagos based on Bank guarantee at the price stated in the table above.Any interested exporter can contact us via info@3timpex.com or 08036522946.